We make these snowboard packages by putting the Specially selected snowboard and binding packages that work great on the mountain and leave more pounds in your pocket for your lift pass. Ideal bindings together with awesome boards and giving a perfect snowboard package for you. If you want to build a custom package then we have a builder to do that for you otherwise give us a call to discuss the best fit for you and your budget. This is an awesome beginner to intermediate Snowboard Package. The Burton Instigator is awesome ride on park and all mountain and the freestyle bindings are super comfortable. Two of our favourite products in one incredible package deal. 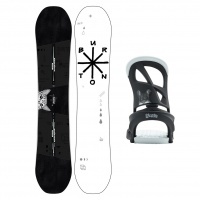 Featuring the Burton Scribe Squeek Binding and Rewind board, its like they where made for each other! Beat the ever rising prices of snowboards with this outstanding package designed for the ultimate all mountain shred without shredding your wallet! The best snowboard setup money can buy for such an incredible price! 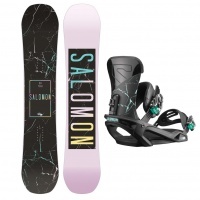 Salomon Oh Yeah Snowboard and Vendetta Bindings all for less than £350!